Popular activewear brand lululemon is focusing on runners in Chicago this month, surrounding the Bank of America Chicago Marathon. 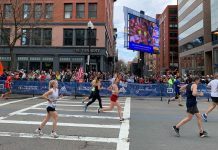 Before, during and after the event, local athletes can take advantage of its resources and events to prepare and recover. In early September, lululemon announced its Run Stop Shop Vending Machine, which is a digital vending machine to provide runner necessities for free. The machine is stocked with Water, Kleenex, Oars + Alps face whips, Squirrels Nut Butter Anti-Chafe, Body Glyde, Cora tampons, SuperGoop! sunscreen, first-aid kit, Nuun electrolyte enhanced drink tabs, Redd Bars, water, Kleenex, Honey Stingers, Revere and of course lululemon accessories, including hats, socks and hair ties. It islocated outside the Theatre on the Lake at 2401 N. Lake Shore Drive. 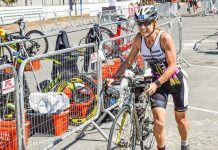 Another pre-marathon resource runners can take advantage of are the Ferla bike, which is a lululemon-branded bike that provides products, accessories and other run essentials. Runners can also try out the Woodway Treadmills that are located at the lululemon Rush Street store until the end of the month. For the first time ever, lululemon will be present at the Abbott Health & Fitness Expo. The booth will provide screen-printed skyline products with the logo pictured. Find lululemon at the expo at McCormick Place Friday from 9 a.m. to 8 p.m. and Saturday from 9 a.m. to 6 p.m.
Also surrounding marathon weekend is the lululemon Rush Street customization. From Friday, Oct. 5 to Monday, Oct. 8, athletes can customize Joinery products, that can also be delivered to surrounding hotels. The store address is 930 N. Rush Street. 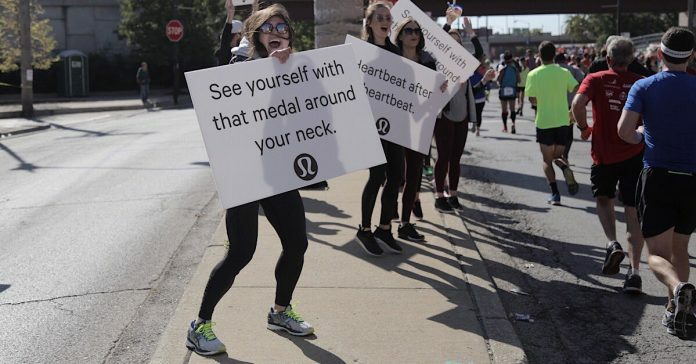 Finally, lululemon will host its Cheer Inspiration-Station at mile 22.5 of the Bank of America Chicago Marathon. The brand will team up with Shred415, and will host a DJ at the station to motivate runners passing. 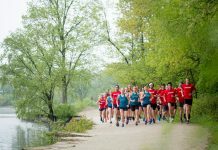 “Chicago is for every runner, and we’re here for them even in the hardest of miles,” says a lululemon media release. For more lululemon updates, runners should follow @lululemonchi.